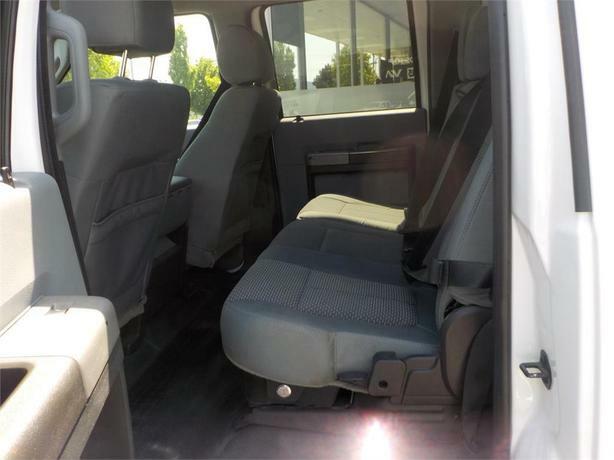 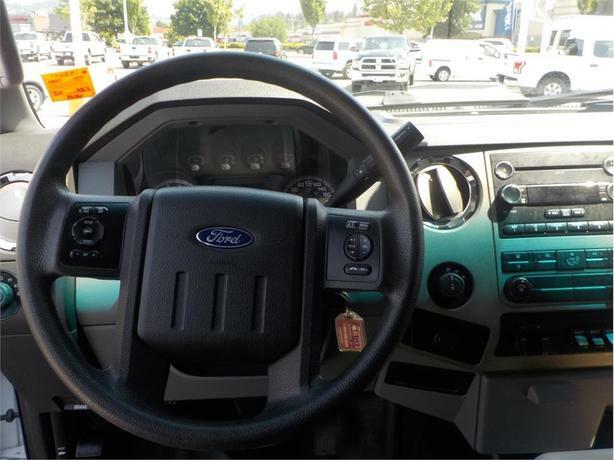 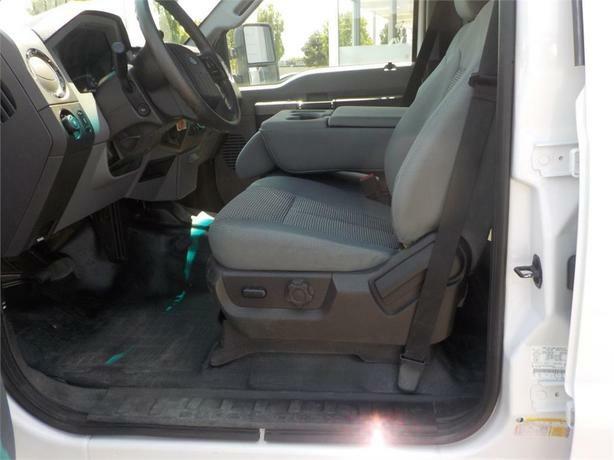 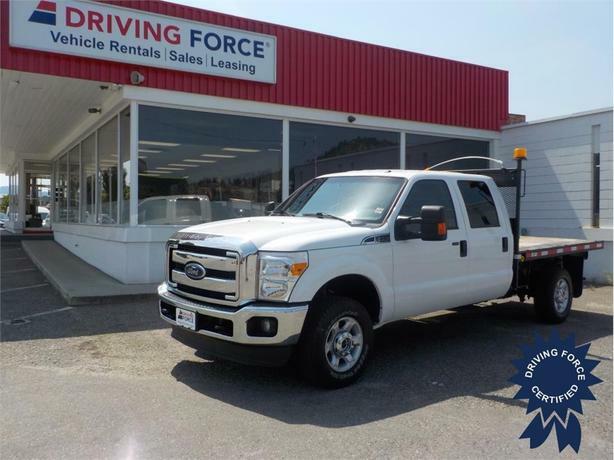 This crew cab seats up to six people and features a nine-foot flat deck, 172-inch wheelbase, electronic-locking 3.73 rear differential, 17-inch wheels, FX4 Off-Road Package and an XLT Value Package. 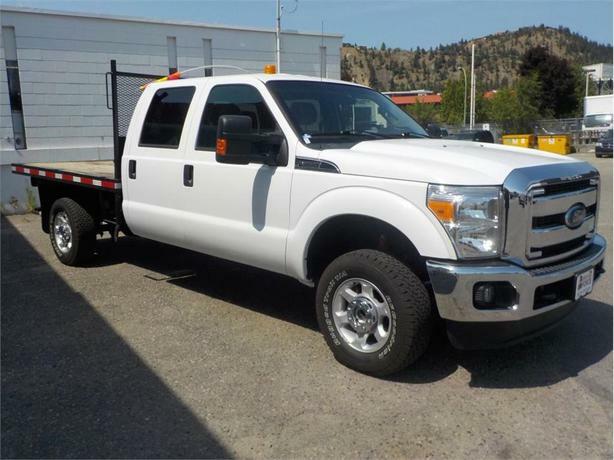 Additional equipment includes transfer case and fuel tank skid plates, fog lamps, six-way power driver's seat, reverse sensing system, upfitter switches, adjustable pedals, TorqShift six-speed automatic transmission with SelectShift, part-time four-wheel drive, 157-amp alternator, Class V towing package with harness, hitch, brake controller and trailer sway control. 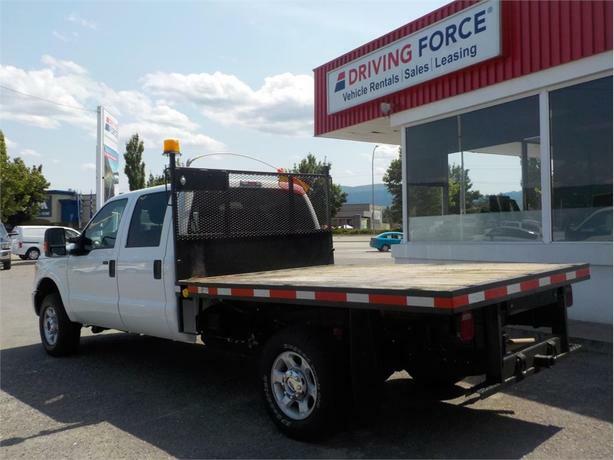 It has heavy duty shocks, front anti-roll bar, hydraulic power-assist steering, 133-litre fuel tank, auto locking hubs, full-size spare tire, tow hooks, power door locks, four 12V DC power outlets, perimeter alarm, and a 6.2-litre V8 delivering 316 horsepower and 397 lb-ft of torque. 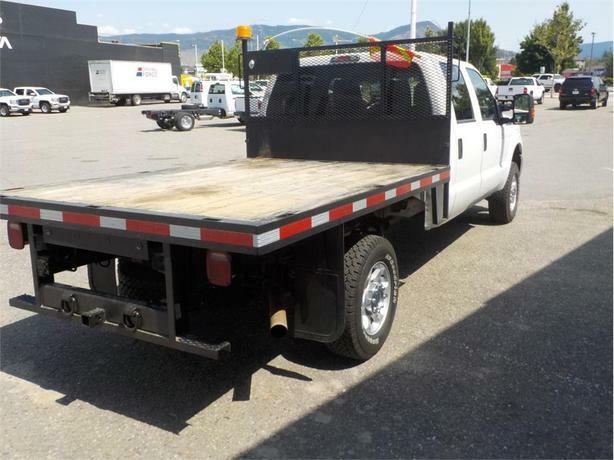 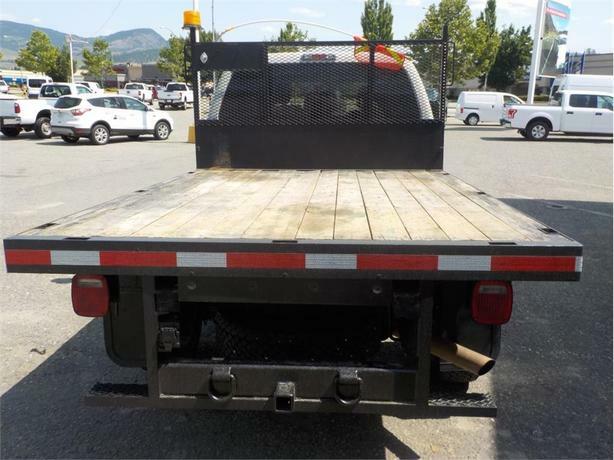 Touch base with us and one of our commercial flat deck truck consultants will follow up with you shortly.